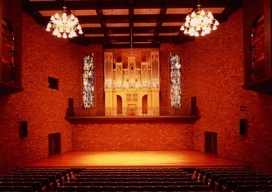 Takarazuka International Chamber Chorus Contest(TICC) was first held in 1984. Since then the contest has been held every year till today, with the purpose of spreading the ‘Chamber Chorus’ widely to the local people, also with the hope of growing international friendship among choirs through the music. The participants compete for gold, silver and bronze medals in each section and the winners will show their wonderful performance at the special concert held on the next day. All the chorus lovers gather in Takarazuka, the city of Art, Culture and Music and share the joy of music across the border of countries at the festival. Vega Hall, named for Constellation Lyra’s brightest star, has staged beautiful music and culture in the city of Takarazuka since 1980. The impressive Swiss pipe organ, the delightful stained glass ornaments and the chandelier create a gentle atmosphere of calm and enhancement. 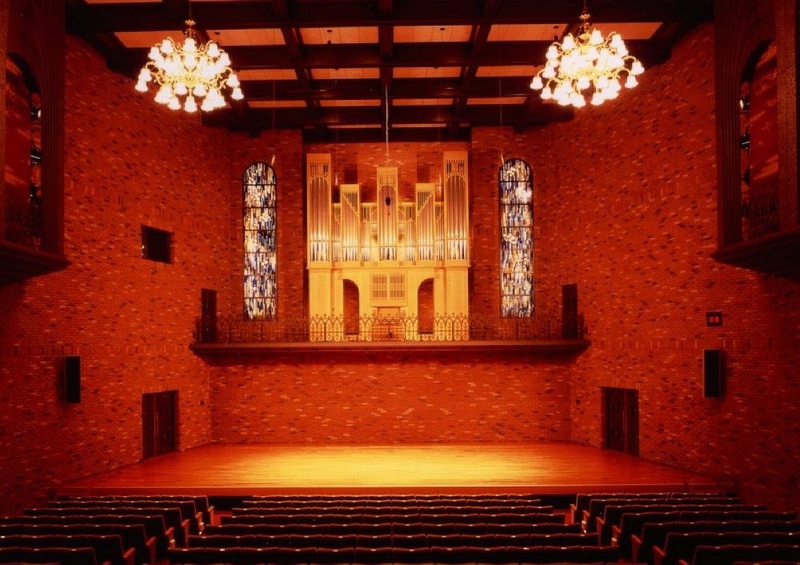 This 372-seat concert hall has been known and loved by many renowned performers and local audiences for its excellent acoustic system with two seconds reverberation time that give classical music its intended depths of sound. TAKARAZUKA is a city full of verdure situated in the suburbs of Osaka with population of 230,000 people and especially famous for its natural mineral springs and Takarazuka Revue. The Takarazuka Revue’s most unique characteristic is that the performers in its spectacular musical shows are all unmarried women, and you can watch their gorgeous musical shows and revues at the Takarazuka Grand Theater located in the center of city. And nearby the theater, we have the Memorial Hall of Osamu Tezuka, the great comic artist called ‘God of Comics’ in Japan. He left so many kinds of comic-books and influenced on the contemporary style of Japanese comics. You can watch and know his great achievements at this hall. Also there is Kiyoshi Kojin temple near to Vega Hall, venue of the contest, which is dedicated to ‘God of Fire or the House-hold Fireplace’, and ’Patron God of the Entertainment World’. There are many shops along the long entrance path to the temple, and within the temple precinct, you can enjoy the Tessai Art Museum housing paintings by traditional artist Tessai Tomioka (1857-1924), and other collections.